One of our administrative assistants received an anonymous call with a vague and non-specific “threat” regarding guns in the school. At that time, members of the administrative team met with our School Resource Officer and School Safety Officer to determine the best course of action. With the help of our on-site safety and security experts, it was decided our high school principal would make an announcement to place the entire K-12 facility into immediate lockdown. As members of the West Milton PD and Miami County Sheriff’s Office arrived, we initiated a plan to search the high school, middle school, and shared service areas. Classrooms, lockers, and locker rooms were searched. Based on the nature and scope of the “threat,” student searches were restricted to their belongings and immediate person. As we were able to determine the threat lacked credibility, certain classroom lockdown protocols were relaxed so that students could be provided restroom access and, in some cases, lunches. At this time, however, we still did not resume our regular school day routines. Once authorized by law enforcement and following the search of our facilities and parking areas, the lockdown protocol was lifted. Students were then released class-by-class in every building by administration. To better control dismissal, we elected to release all students, including student drivers, walkers, etc., once district transportation was on-site. 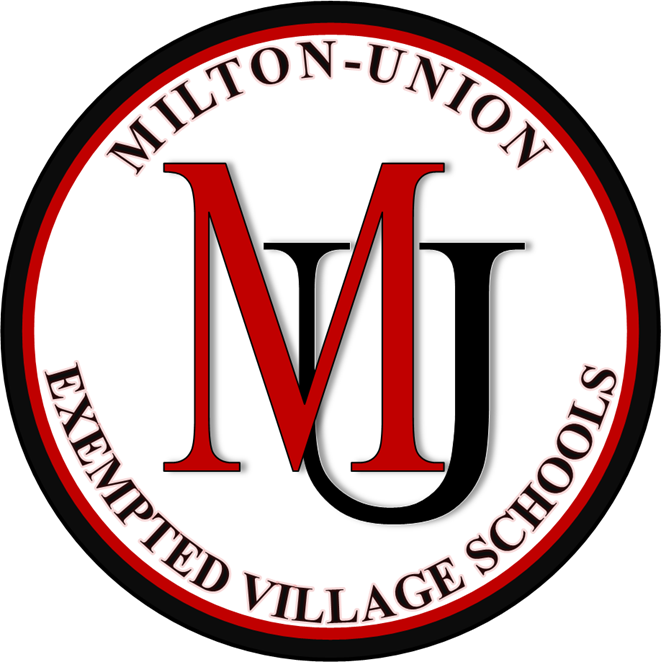 At this time, the district will have no further comment on the nature or content of the initial “threat.” We expect the situation to be fully investigated by law enforcement, and the Milton-Union Schools will cooperate fully. Again, following our efforts today, the threat was considered unfounded, and no staff member or student was hurt or injured. The Milton-Union Schools are extremely grateful to the West Milton PD and the Miami County Sheriff’s Office. Both law enforcement agencies were outstanding. We appreciate the patience and cooperation of our families, caregivers, staff members and students during an unfortunate disruption to our school day. Our staff members were careful, professional, helpful, and invaluable. As a community member, school official, and parent, I am thankful and proud of them. We are forever grateful to the many supporters of the Milton-Union Schools.